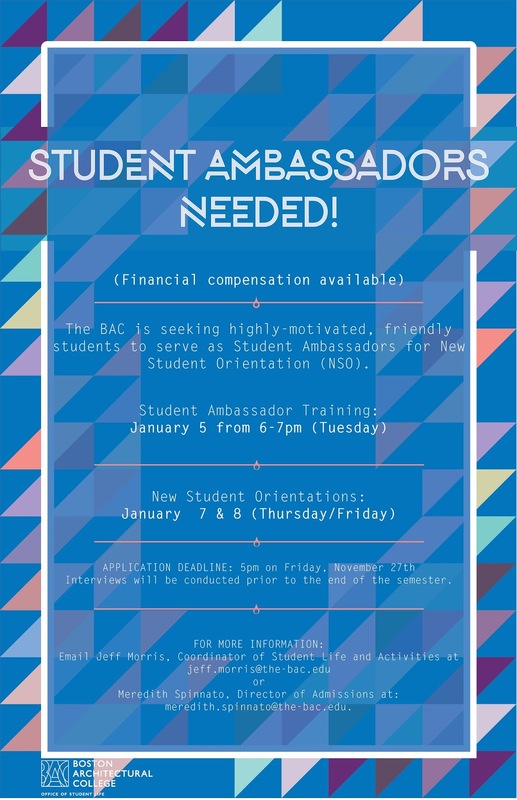 Become a Student Ambassador for BAC Orientation! The BAC is seeking highly-motivated, friendly students to serve as Student Ambassadors for New Student Orientation (NSO). NSO is designed to expose incoming students to the BAC experience and design community via: firm visits, design exercises, and social events. 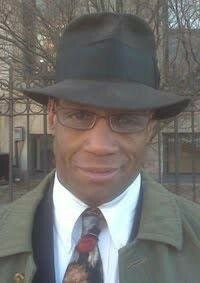 Current students are needed to facilitate these efforts and serve as Student Ambassadors to the BAC. Interviews will be conducted prior to the end of the semester. FOR MORE INFORMATION: email Jeff Morris, Coordinator of Student Life and Activities at jeff.morris@the-bac.edu or Meredith Spinnato, Director of Admissions at: meredith.spinnato@the-bac.edu.